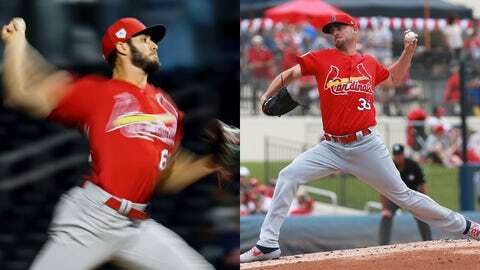 Cardinals pitchers Daniel Ponce de Leon (left) and Austin Gomber will open the season in Triple-A. Pitchers Austin Gomber and Daniel Ponce de Leon, who as recently as a week ago were in the hunt for a spot in the St. Louis Cardinals‘ starting rotation, will open the season in Memphis. The Cardinals optioned both pitchers to their Triple-A affiliate Wednesday. Earlier in the day, Ponce de Leon started the Cardinals’ spring training game against Miami, allowing five runs on seven hits and two walks over 3 2/3 innings. The right-hander is 0-2 with an 8.80 ERA in 15 1/3 spring innings. Gomber, a left-hander, is 0-2 with a 10.64 ERA over 11 innings this spring. 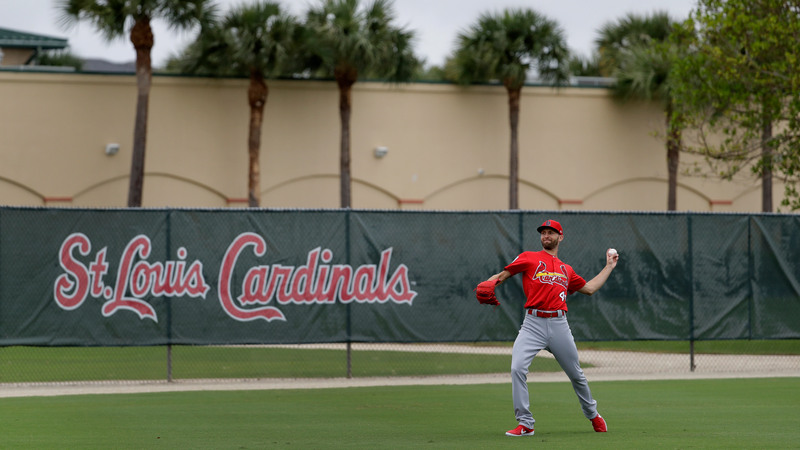 The Cardinals are left with 40 players (31 roster players) in big-league camp.